The Girls and I got together for a midweek holiday dinner and I offered to bring dinner. I wanted to stick to something comforting and simple so decided on meatloaf, one of my favorite comfort dishes. 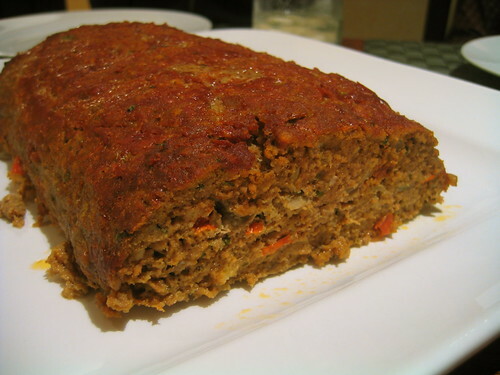 I went with my favorite turkey meatloaf recipe adding a twist with a version of ras el hanout, a Moroccan spice blend (or as Wiki more accurately states “a popular blend of herbs and spices is used across the Middle East and North Africa”). I added chopped red bell pepper, parsley and cilantro to the meat mixture while leaving out the tomato paste, Worcestershire, and thyme. I kept the old-fashioned ketchup glaze on top of the meatloaf for tradition’s sake. This dish of the fig series was my favorite surprisingly. 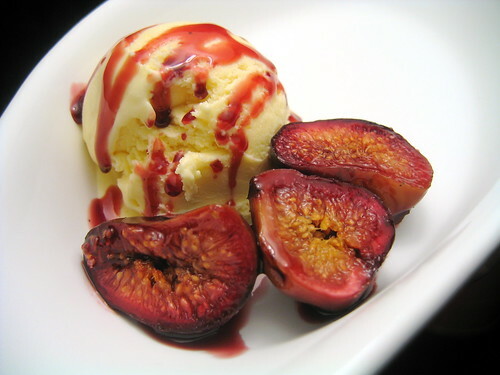 I say this because I hardly thought anything exciting of poached figs. But what I underestimated was how the tangy creme fraiche ice cream would pair up with the warm soft figs and the perfectly complementary port syrup. I absolutely love creme fraiche in or paired with dessert because the tang cuts through some the sweetness and balances it out. This is exactly what happened with the warm slightly spiced port syrup and the creamy tangy creme fraiche ice cream. Loved the combination. *I used only heavy cream for the base instead of the mix with the half-and-half. Combine the port sugar, vanilla pods and seeds, cinnamon, orange peel and peppercorns in a large saucepan. Bring to a boil and reduce the heat. Simmer until the liquid has the consistency of a light syrup, about 20 minutes. You will have about 1 1/2 cups of syrup. Add the figs and simmer for 15 to 20 minutes. Turn off the heat and cool the figs in the syrup. Serve the figs in a bowl with their juices spooned over. *I used ruby port because that’s what I had at home. I had my first financier from Boule not too long ago and man was it good. It was apricot, it was buttery, it was heaven. Thought I’d give it a whirl using figs plus I was looking for a recipe to use up my almond meal which has been sitting unused in my pantry for too long. I used the recipe from Joy of Baking website and added about 4 diced figs. Financiers have A LOT of butter in it I warn you but if it didn’t it wouldn’t be so good nor would it be a proper financier. They are by the way little French tea cakes supposedly first made in the financial area of Paris, baked in little rectangle pans that made them shaped like little bricks of gold. They are addicting. I’ve never looked so forward to baking something again. Of course this does no good for my healthy eating plan..
Preheat the oven to 350 degrees F (177 degrees C) with the rack in the center of the oven. 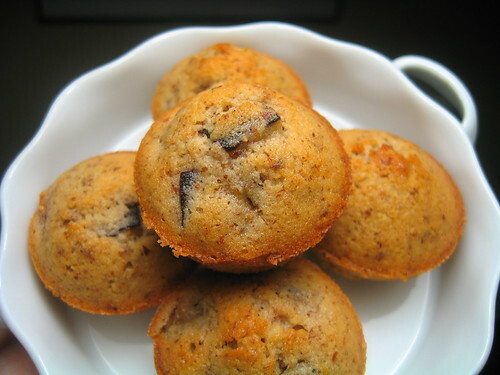 Place the almond flour (meal) or blanched almonds on a baking sheet and bake 6-8 minutes or until lightly browned. Remove from oven and let cool. If you are using the whole almonds process in a food processor until finely ground. Set aside. To make the beurre noisette: In order to end up with 1/3 cup beurre noisette, place 1/2 cup unsalted butter in a saucepan over medium low heat. Once the butter has melted let it come to a boil. As it boils you will notice that a foam will appear on the surface. Continue to cook the butter until it looks clear and the milk solids have dropped to the bottom of the pan and have turned dark brown. Remove from heat and immediately strain through a cheesecloth-lined strainer. Let cool to room temperature before using. You will have more than 1/3 cup of beurre noisette. Use the remaining beurre noisette to grease the molds. Using a pastry brush lightly grease the molds and allow the butter to set. Set aside while you make the batter. Mmm passion fruit. The tropical flavors definitely make summer feel more summery. I picked up a few at the farmer’s market thinking that I’d just spoon the juicy pulpy seeds straight into my mouth. But instead went for vanilla panna cotta. It’s such an easy dessert I knew it wouldn’t stress me. The vanilla beans unexpectedly settled to the bottom of the molds. But since the bottom would become top this caused no problems at all. I rather liked the concentration of the little black dots on top. And of course the flavor. It was delicious! The combination of the creamy vanilla and tangy sweet tropical fruit flavors worked well together. I used regular brioche molds to shape these a la AOC. A brilliant idea imo, turning a simple dessert into something so pretty. Combine the milk and gelatin in a bowl. Split the vanilla bean vertically with a sharp knife and scrape to get the seeds out. Heat the vanilla beans and pod, cream and sugar in a heavy-bottomed pot. When it starts to bubble take it off the heat and add it to the gelatin mixture. Whisk to combine. Spray the molds lightly with the oil. Divide the mixture into the molds. 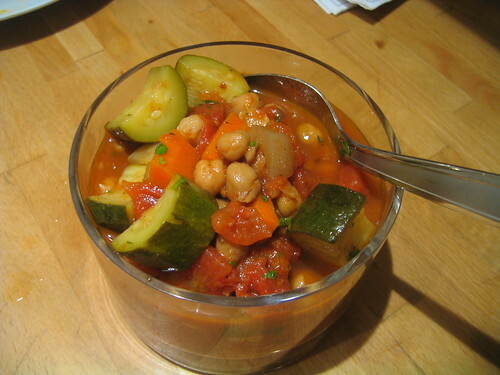 You’ll have a lil bit leftover which you can chill in a separate ramekin. When the panna cotta is set unmold into the plate. This is easily done by holding the mold facing you like a mirror and gently loosening the top ridges of the panna cotta with your fingers. When you see it pulling away from the top flip it gently over the middle of a plate. 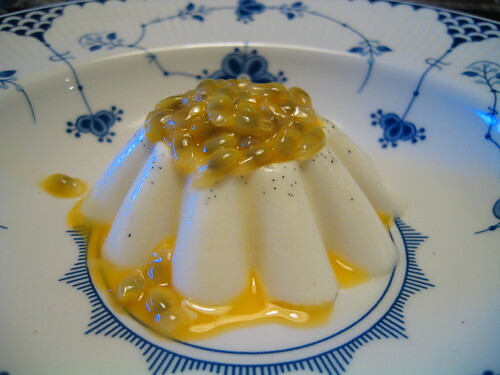 Slice the passion fruit in half and scoop the seeds on top of the panna cotta. You can use half to whole passion fruit for each one. I’ve been so busy lately I was almost ready to make a disclaimer stating that I won’t be able to post for a while. I’m actually studying for the Chartered Financial Analyst Level I test which requires 20+ hours of studying per week. That means I haven’t cooked anything blog-worthy, eating Trader Joe’s delicious frozen foods for dinner when I do night studying sessions in my empty office, which is basically every night, and living off my mom’s delicious comforting Korean food. But I was determined to make it to the Saturday Santa Monica Farmer’s Market and fill up on some super fresh vegetables. Friday night ended early so waking up at 8:30AM was no problem at all. There is so much delicious produce at the farmer’s market! I have to try hard not to buy too much stuff which happens often because I get way too excited about the produce. This time I was good though. I knew I couldn’t get much stuff anyways because the only time I would have a chance to cook it is this weekend. I got a pretty good load of vegetables and seafood. Then I saw these wild strawberries. So beautiful! But also soooo fragile. I knew I would have to eat these by end of the day. I immediately thought wild strawberry tart! As I walked away I thought again wild strawberry tart?? Crap, when would I have time to make this? I needed to make pastry dough and pastry cream. And with my planned six hour study session at the library and an outing with the friends at night I was going to have to hustle with the few free hours I had between. Hustle is what I did since I was also making ricotta-stuffed and fried squash blossoms. The squash blossoms and wild strawberries are absolutely need-to-eat-immediately vegetables. If you don’t eat them within the day their freshness decreases like crazy. I made the pastry cream first because it would have to thoroughly chill in the fridge. Then onto the puff pastry shell. I cheated a lil bit by skipping the pastry dough part and instead used store-bought puff pastry I had in my freezer for times exactly like this. I made the extra borders by cutting a lil dough off each side of the square (the pastry came in little squares), trimming them to fit the new square, then adhering them with egg wash, and also eggwashing the edges for a golden glow. I baked them for about 12 minutes at 425 degrees. Then didn’t come out perfect but it was going to have to do. Once the pastry was cooled and the pastry cream chilled I just put them together. 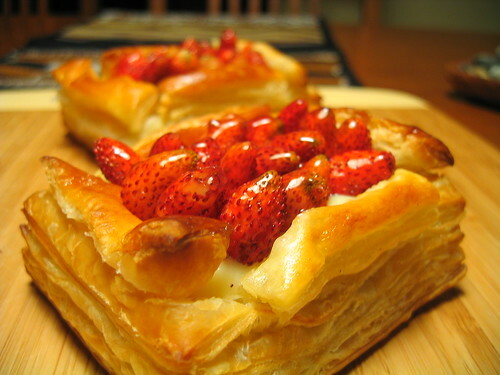 Pastry cream inside, wild strawberries on top, then glazed with some melted strawberry jam. The strawberries on their own were quite delicious. Although so tiny the wild ones had a more concentrated flavor than regular strawberries. Almost a jammy quality to it. Paired with the cool pastry cream and puffed up butter pastry it made a great summer’s night dessert. My parents loved this one. Good thing I only made two because they were ready to eat a whole batch. It’s summertime and fruits are abundant at the farmer’s market. 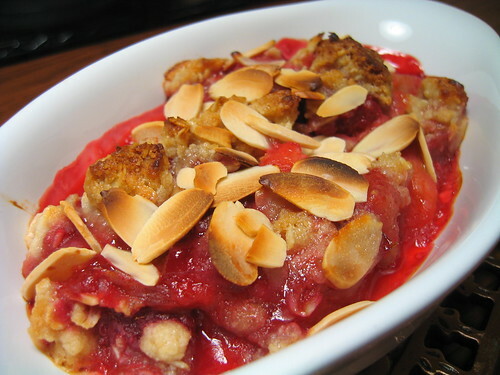 I stopped by the Culver City one to pick up some plums to make Barefoot Contessa’s Plum Raspberry Crumble. I’m not a huge plum fan and hadn’t eaten one in years but I decided to give it another go. Plus I love crumbles especially when it’s still warm. Yum. 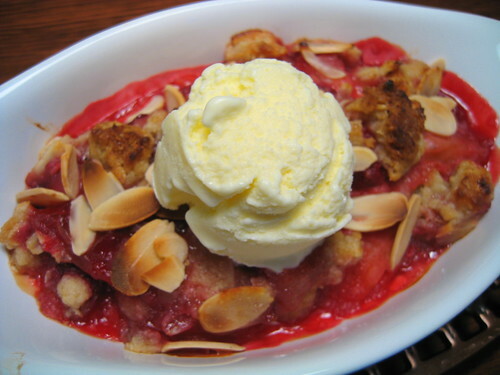 A simple whipped cream with a tinge of creme fraiche would have been delicious and easy but going a la mode with a warm crumble sounds great too. A bite of warm crumble with a crunchy buttery topping with a spoonful of tangy ice cream made happiness in mah mouth. Bring whipping cream to simmer in heavy medium saucepan. Slice vanilla bean lengthwise, scrape out seeds with a knife and add to the pot of cream. Whisk egg yolks and sugar in medium bowl to blend. Gradually whisk hot cream into egg yolk mixture. Return mixture to saucepan and stir over medium heat until custard thickens slightly, about 6 minutes (do not boil). Strain into bowl. Stir in cold buttermilk. Cool in an ice bath. Process in ice cream maker according to manufacturer’s instructions. Freeze at least 3 hours. I panicked the day spring became summer. I realized no asparagus had passed through my kitchen, not enough cherries had graced the table, no fava beans had been depodded, blanched & peeled. What a bad cook I’ve been. I promptly added asparagus and bing cherries onto my grocery list only to be thwarted by my own laziness. What I really wanted to make were cherry turnovers. But what I really didn’t want to do was pit cherries. 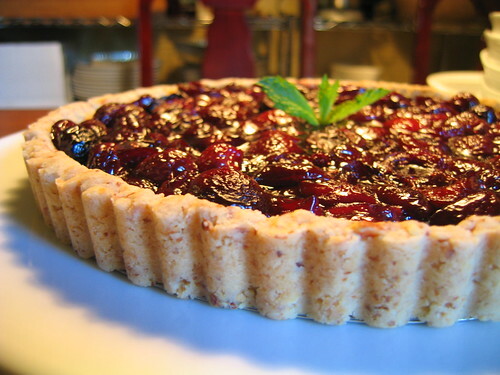 The cherries were a pinch to pit for that tart I made back in early June but still my own mind crushed my cherry idea. Instead I picked up nectarines which would require only a quick chopping. I was only motivated to make turnovers because of the fact that I had 1/2 of Thomas Keller’s buttery pastry dough in my freezer. I’m thinking maybe it would be a good idea to make a bunch of dough at once and keep it in storage. That may result in many tarts, pies & turnovers though. That could be a good or a bad thing. 2. Chop nectarines about 1/3 inch cubes. No need to be exact, just not too big as to poke holes in the dough and not too small as to become mush. 3. Toss with 2 tbsp of sugar and taste. Is it sweet enough? If not add more. 4. Toss with blueberries, salt and cornstarch. 5. Divide dough into 4 balls and roll out on a floured board. While you work on one keep the others in the fridge. Roll out to about 1/8 inch thick and into a circular shape. Again, no need to be exact. I think mine came out to be around 6 to 7 inches or so. 6. 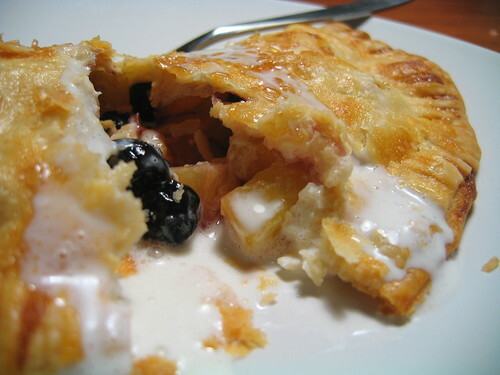 Divide the fruit mixture evenly among the four rolled out dough without getting too much juice onto the dough. Eggwash the edges and crimp, eggwash the top and sprinkle with turbinado sugar and bake for about 20-25 minutes. 7. Serve warm with chilled cream or creme fraiche. Or if you wanna cut down on the fat consume with a cold glass of reduced fat milk. I don’t go lower than reduced fat. That’s a rule. It’s a beautiful thing to go to a farmer’s market and breathe the heady aroma of sweet strawberries and peaches, a few of my favorite fruits. I was seduced by a small basket of Gaviota strawberries as I was leaving the farmer’s market and just had to get em. As you all know strawberries & cream is a classic combination and a quite delicious one. I can eat a bowlful of berries just topped with creme fraiche or freshly whipped cream. 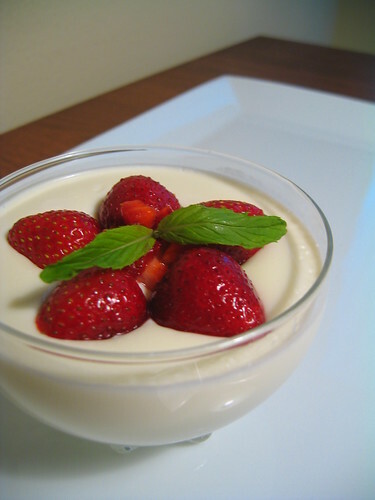 But this time around I went with Creme Fraiche Panna Cotta with Strawberries from the Sunday Suppers at Lucques cookbook. Panna cotta is so easy to make. It’s one of the few desserts that sits on my desserts-I-can-actually-make list. It’s an Italian dessert whose name means “cooked cream.” It’s basically cream base that has been set with gelatin and chilled. You can flavor it any way you please but since I heart creme fraiche with a passion I went back to it to pair with my strawberries. The creamy, cool and tangy panna cotta and the sweet strawberries simply tossed with a bit of sugar made a beautiful team. 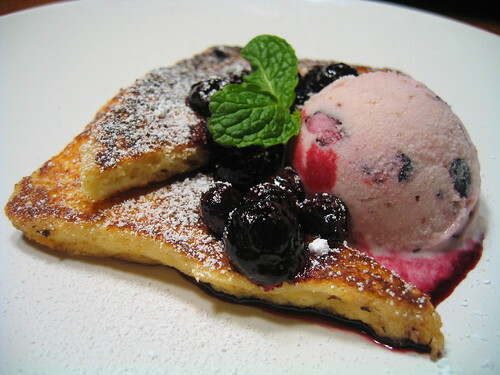 Not only an easy dessert but a looker too. Yes it’s cherry season. The beautiful ruby shiny skin is just a tease until you bite into one and you get sweet juiciness. I concurred (yesterday) that cherries are the perfect biteful. Working around the pit doesn’t bother me too much. After all I grew up eating bowlfuls of concord grapes which has way more many seeds and takes a lil bit more tongue work.